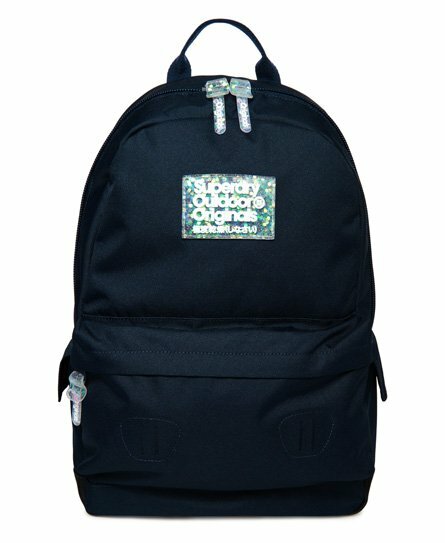 Superdry women's Pixie Dust Montana rucksack. This rucksack is perfect for storing all of your essentials, featuring a top grab handle, a roomy main compartment and a zipped front compartment for your smaller necessities. A padded back and adjustable straps enhances comfort and durability while the two internal pockets and two side pockets with popper fastenings give you extra storage space. The Pixie Dust Montana rucksack is completed with Superdry branded zip pulls and logo badges on the front and shoulder strap with iridescent detailing.